David is a business bankruptcy lawyer who represents secured creditors and other lenders in commercial bankruptcy proceedings, out of court restructuring, and state and federal court receiverships. David has also represented corporate debtors, creditors committees, trustees and numerous other constituencies in all aspects of Chapter 11 bankruptcy cases. David practices with the firm’s Creditors’ Rights & Bankruptcy group. His experience focuses on commercial bankruptcy matters, including the representation of secured and unsecured creditors, committees, defendants in preference actions, corporate debtors and parties involved in out of court restructurings and state and federal receiverships. David is admitted to practice in Tennessee (2000), Mississippi (2001), the U.S. District court, Middle (2001), Eastern (2004), Western (2007) Districts of Tennessee and the U.S. District court, Northern (2009) and Southern (2009) Districts of Mississippi as well as the Sixth Circuit Court of Appeals (2002). Mr. Houston is a member of the Tennessee Bar Association (past chair of the Bankruptcy Section Executive Council), the Nashville Bar Association (past chair, Bankruptcy Court Committee; past chair, Local Rules Sub-committee), the Mississippi Bar Association, the American Bar Association, the Mid-South Commercial Law Institute (Director, 2003-2008), American Bankruptcy Institute (past Co-Chair, Ethics and Professional Compensation Committee; past Co-Chair, Southeast Bankruptcy Workshop) and a current board member of the Turnaround Management Association Tennessee Chapter. 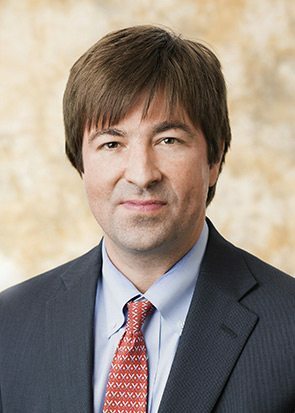 He has been recognized in The Best Lawyers in America for his work in the Bankruptcy and Creditor-Debtor Rights area since 2010. David earned his J.D., 2000, from the University of Mississippi School of Law, and his B.P.A in Criminal Justice Administration, 1997, also from the University of Mississippi.